Judith Miller will sign copies of her book and share her knowledge with visitors. 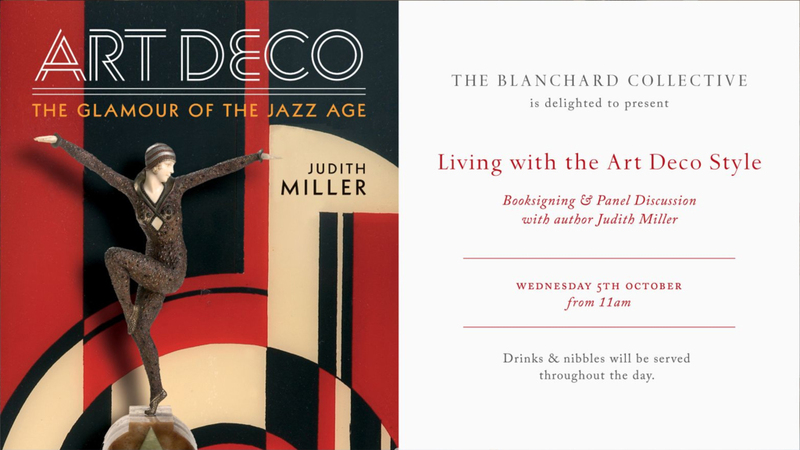 A highlight of the event will be a panel discussion with Judith and Art Deco specialists at The Blanchard Collective, Peter Woodward and Philip Varma and guest specialist Art Deco dealer Jeroen Markies. The dealers will show a selection of star pieces from their own collections using Judith’s beautiful book to reference makers and influences from this illustrious era of early C20th style. The event is open to everyone, drinks and nibbles will be provided throughout the day. This event is in collaboration with the award winning Hungerford Bookshop. antiques, art, art deco, judith miller. Bookmark.